If you've recently received a message inviting you to a 'limited edition' version of WhatsApp, it's a hoax. Clicking on the link tricks users into downloading a virus which will then hack your phone. A warning message reads: "If you know anyone using WhatsApp you might pass on this. An IT colleague has advised that a video comes out tomorrow from WhatsApp called martinelli do not open ti, it hacks your phone and nothing will fix it. Spread the word." It adds: "If you receive a message to update the Whatsapp to Whatsapp Gold, do not click !!!! Now said on the news this virus is difficult and severe. Pass it on to all." 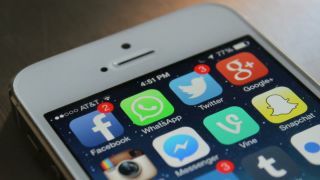 There have been different versions of the WhatsApp Gold message since 2016; it's a longstanding scam, which claims that an exclusive, hidden version of WhatsApp has video chats, send 100 pictures at once, and delete messages after they have been sent. The message invites users to click on a link to download the 'upgrade', which then directs them to a website full of malicious software. So if you receive the message, don't click on it. Just delete it straightaway.